Paneer and Eggs are my go-to things in the kitchen when I can’t decide what to cook for dinner. And I find a quick Paneer Bhurji (Paneer Crumble Stir fry) or Anda Bhurji (Scrambled Eggs with onions and tomatoes) is the easiest and yummiest thing to make with rotis. But when I want to make it a special meal, I make a Kadhai Paneer or an Egg Curry. I use the same onion and tomato in the Bhurji that I use in the Kadhai Paneer but it’s interesting to see how using a few extra flavours, spices and changing the texture of the ingredients results in a totally different dish. 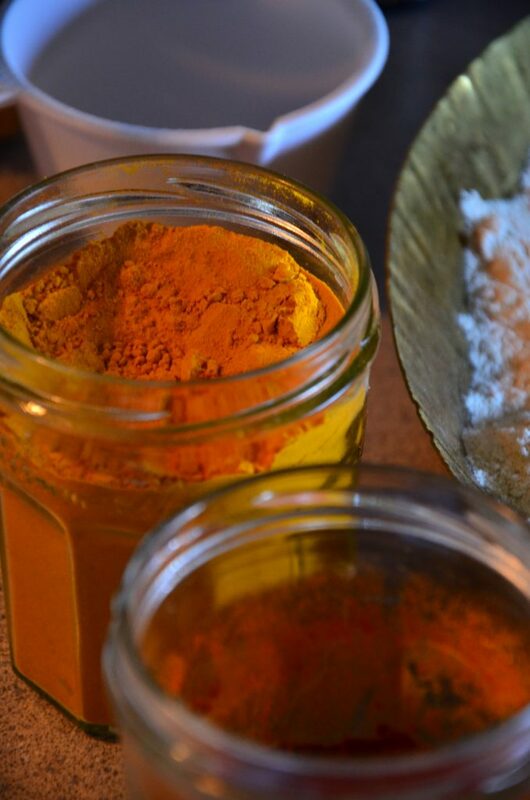 It’s a great addition to the Indian Dinner Spread for entertaining guests. Gather all the ingredients. If you’re using frozen Paneer, then soak the Paneer pieces in hot water for 30 minutes. Till then, start preparing other vegetables. Mince the clove of garlic, slice the onions and purée the tomato, ginger and green chilli together. Slice the bell pepper and keep aside. Roughly grind Cumin and Cinnamon together in a mortar and pestle and add to the hot oil. Let the spices bloom for half a minute. A minced clove of Garlic and 2 sliced Onions go in next. Add the tomato ginger green chilli purée next. Follow by adding salt, red chilli powder, coriander powder and garam masala. Mix in the spices and cook for 2-3 minutes. Add half cup water and cook for another 5 minutes on low heat. Put in a teaspoon of Tomato Ketchup followed by crushed Kasoori methi (dried fenugreek leaves). Stir everything in and let it cook till oil separates. 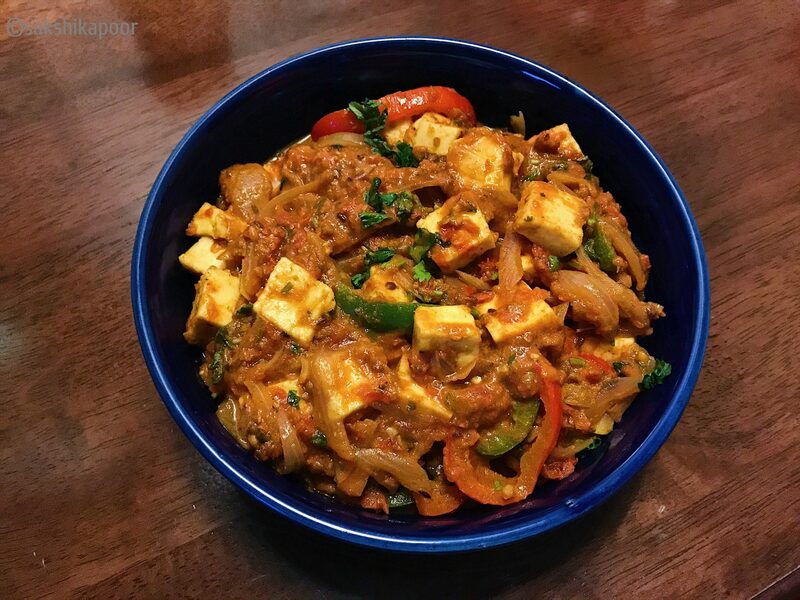 Drain the paneer and cut pieces to bite sized cubes if they are too big. Add paneer, sliced capsicum and a tsp of cooking cream (or milk). Cook 5 mins on low heat and Voila! Enjoy Kadhai Paneer with hot parathas or chapatis!